Do you think you know everything there is to know about Hollywood? Think again! 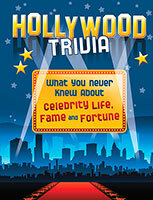 Get ready to learn surprising trivia about all things Hollywood.